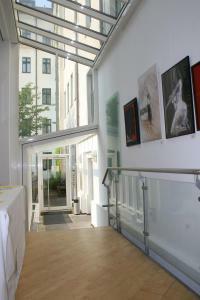 Situated in the historic Neustädter Markt district of Leipzig, this hotel is a listed heritage building which displays over 350 artworks by local artists. 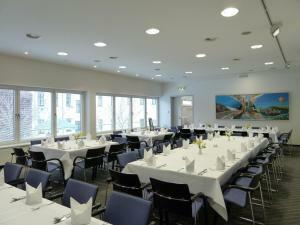 The Galerie Hotel Leipziger Hof offers comfortable rooms with all modern amenities. Wi-Fi internet access is available throughout the hotel for free. Make sure to join the manager's guided tour of the hotel's gallery and art collection, which takes place every Friday at 17:00 and is free of charge. The rich, complimentary buffet breakfast provides a great start to a day spent exploring Leipzig's sights, shops and cafés, while the restaurant offers freshly prepared, seasonal dishes in the evenings. Relax with a refreshing beer in the Leipziger Hof's beer garden, in the comfort of the tranquil, inner courtyard. There is a tram stop just outside the hotel, the main train station is 1.3 kilometres away, and the Neue Leipziger Messe exhibition grounds are only 6 kilometres away.